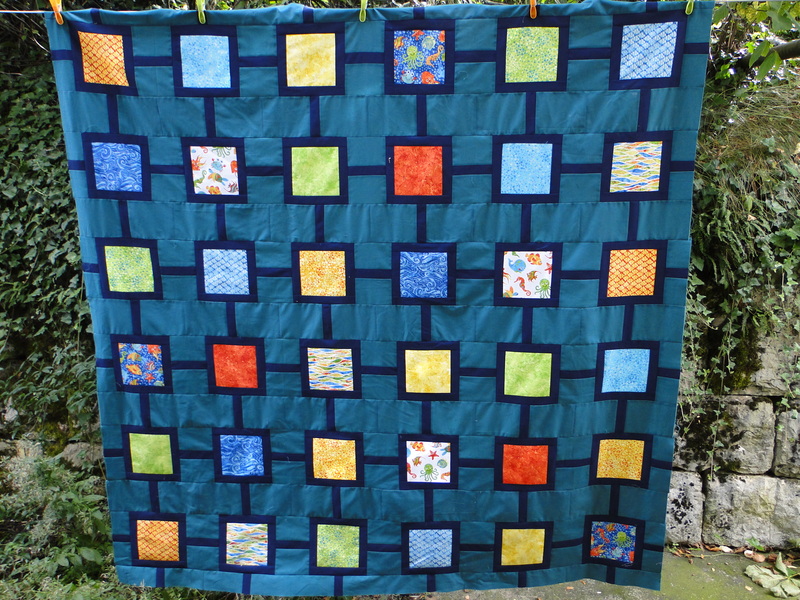 Earlier this week I finished the top of my Sea of Pearls quilt. Although I’d love to progress that further I simply don’t have the space to baste that beauty in my house so it will have to wait till I can borrow some floor space somewhere. 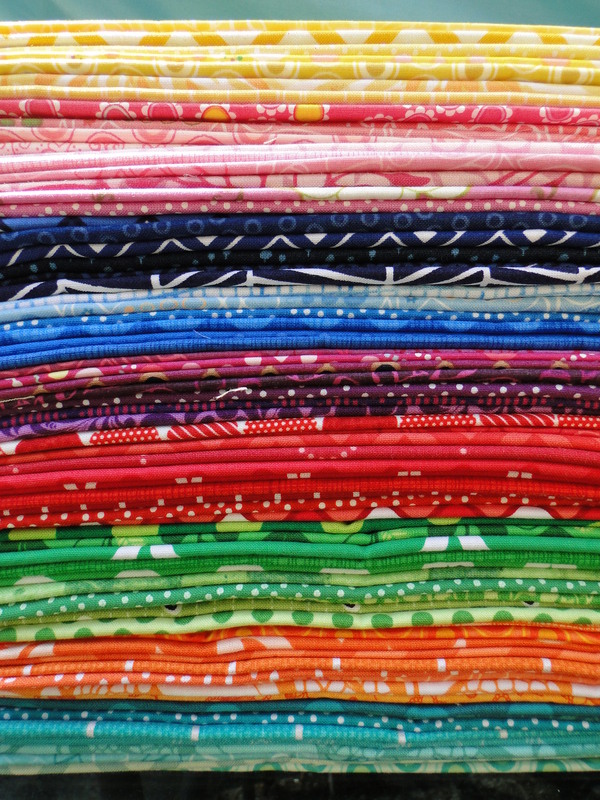 Over the next few weeks these, and more, are going to be transformed into blocks for my MSBHQAL quilt. Yesterday it was the turn of some yellow and orange fabrics to meet with the rotary cutter, the sewing machine and a little navy sashing. 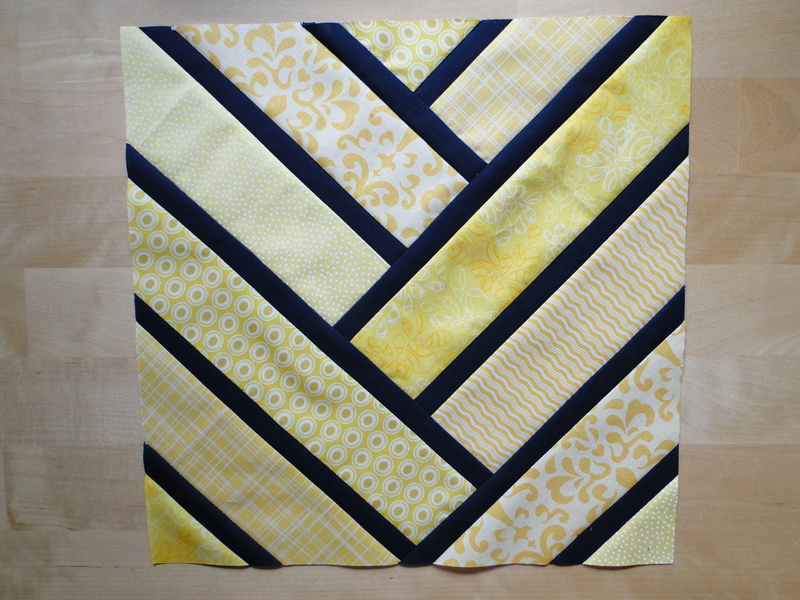 If you were here last week then you will know that I made (and broke) a test broken herringbone block with the leftover fabrics from the Sea of Pearls quilt. 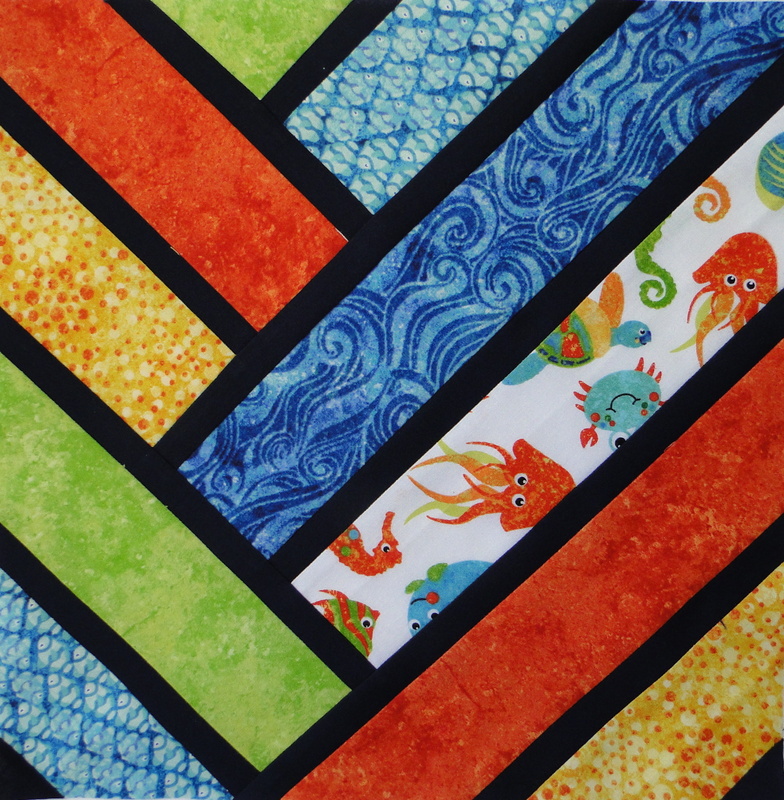 Well I have to admit that, despite it’s imperfections, I am totally in love with that block and have decided that in addition to my rainbow broken herrinbone quilt I will also be making an undersea version. 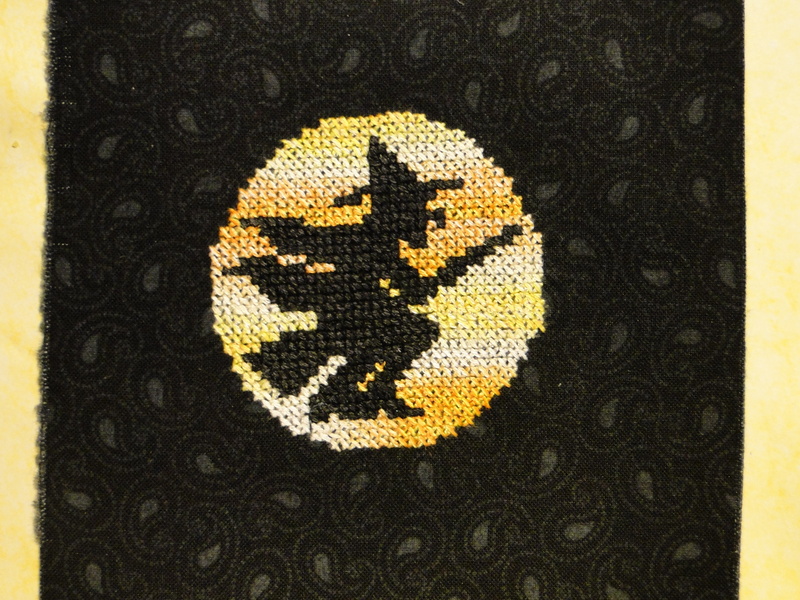 and over the next few days I’ll be using some of them to frame my cross stitch witch. And if all of that wasn’t enough to keep my busy I’m still plodding away at my on-the-go projects. 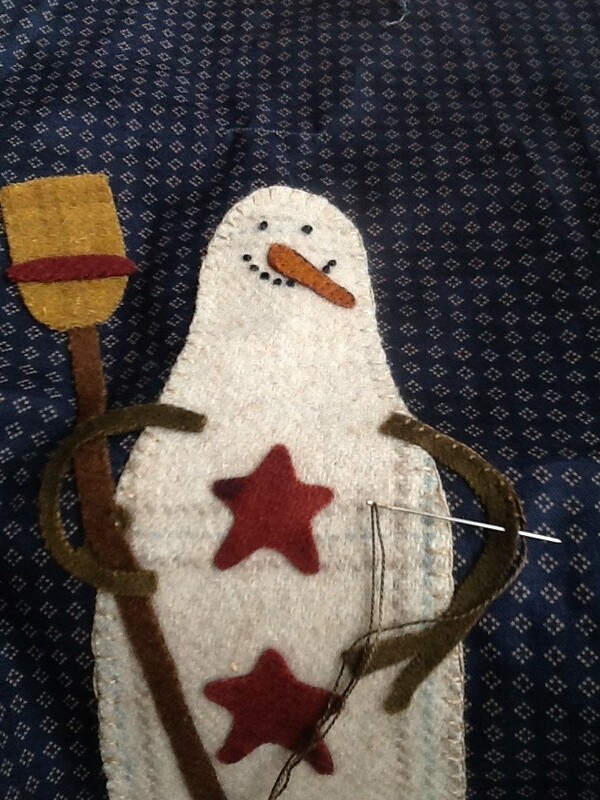 Today it was the turn of a snowman to accompany me on my train journey to work. 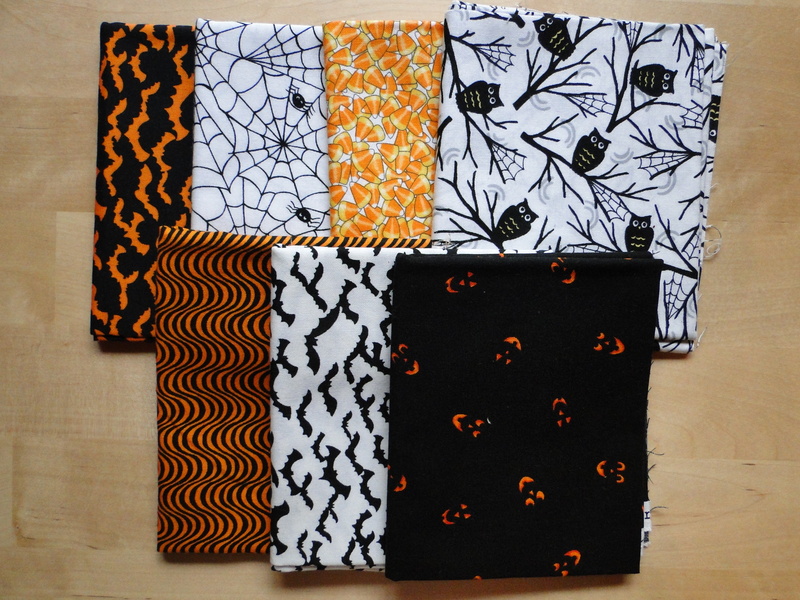 Linking up with Lee over at Freshly Pieced for this week’s Work in Progress Wednesday. Hope to see you there. Oh dear, I’m seeing these herringbone blocks popping up everywhere, this could be a problem 🙂 I love yours with the dark strips in between. It really makes the colors pop. 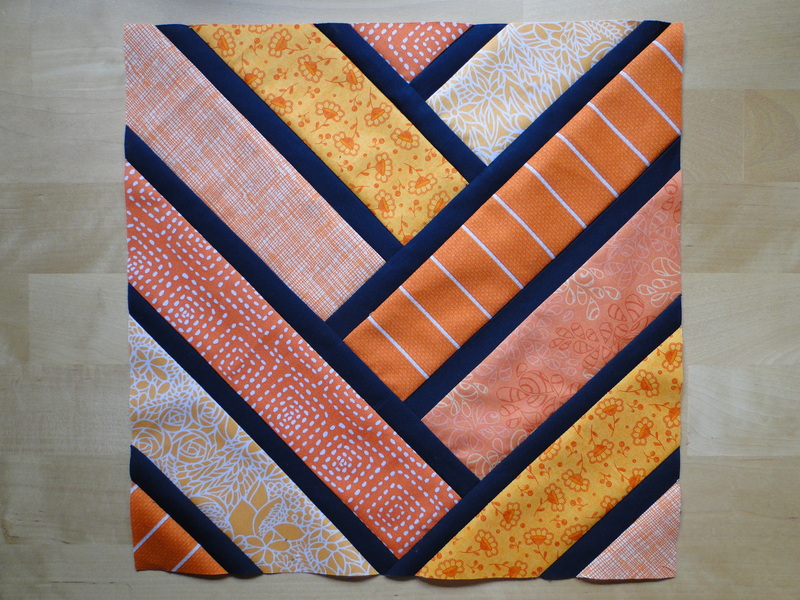 love the fabric choices for your herringbone quilt, they look very harmonious, this will sure turn out stunning!